The Stokley Family: I know this is so mean! I know this is so mean! 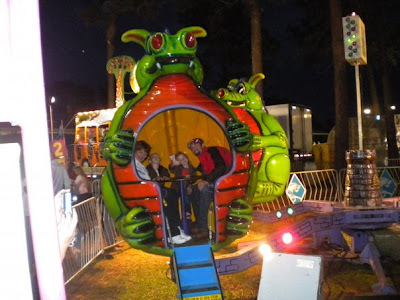 I have never laughed so hard as I did when we went to the fair this past Monday night. 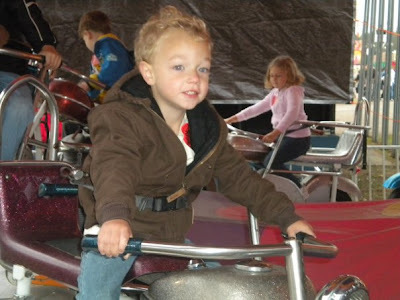 Tanner got on this ride that we knew he wouldn't like but he wanted to ride it because Ryleigh was. Here he is before it started and the next photo is the one while the ride is going. I know everyone is going to say that I am so mean for laughing and taking the picture but once he was up there there wasn't anything I could do to help him so I had to laugh! In the picture Ryleigh looks a little scared but it was just because Tanner was crying so it made her scared. 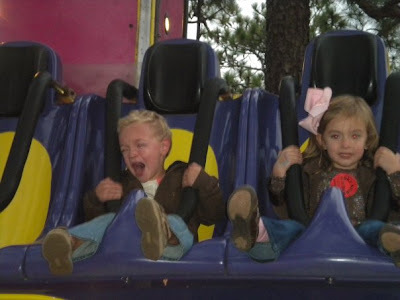 Otherwise she really liked the ride. It was a ride where it took you up then dropped you and then took you up and dropped you. 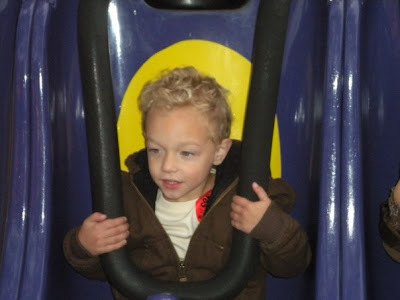 In my defense it was he kid version of the ride, it's not like we put him on the grown up one. 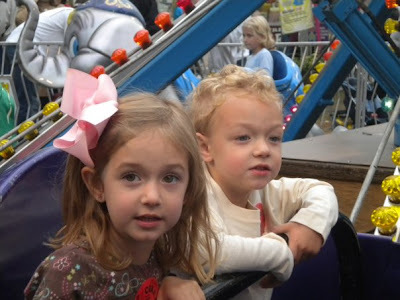 Other than that one ride we all had a great time at the fair. Mom and Larry met us there and Dawn went with us also. 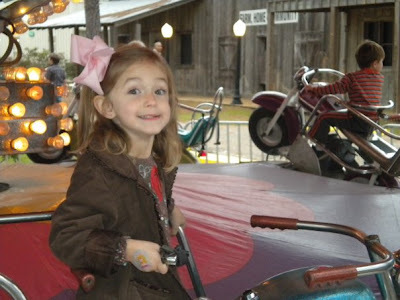 We rode a lot of rides, went to the rodeo and spent way to much money on fair food. $8 for a corn dog!?!? That's insane!!! 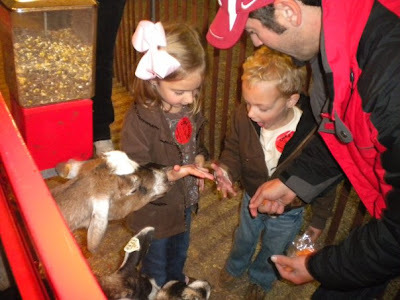 Here are some more pictures from the fair. It's Halloween and we are taking the kids out in the two tackiest costumes I've ever seen! Tinkerbell and Transformers, I don't like them having opinions! I wanted them to have cute costumes. But let this blog serve as a reminder when they get older that they are the ones who wanted to dress up as ugly cartoon characters not me! I would much rather them be Raggedy Ann and Andy. Oh well!